The Champions League Round of 16 will be starting in just a few weeks time, and Juventus have landed in one of the most compelling pairings. Juve will take on Atlético Madrid, the notoriously stingy defensive side out of La Liga with a strong recent history in Champions League play. And while Juventus is still being widely perceived as a potential contender for the league title, it’s not a matchup the side seems particularly thrilled with in the early going. At least that’s the impression given off by former midfielder and current club director Pavel Nedved, who bluntly stated, “we didn’t have much luck” following the draw. On the one hand, this can be construed as Nedved being willing to state the obvious. Atlético Madrid is a skilled side and one that’s very difficult to play against, and to act as if the draw was fortunate to Juve would in some sense be delusional. On the other hand, it came across as somewhat strange for such a prominent member of the Juventus community to essentially express worry, and it might make one wonder about the club’s confidence moving forward. The negatives are not difficult to locate. Atlético has the stronger midfield behind Saul Niguez and Koke, and the better goalkeeper as well in Jan Oblak. Juve is actually a side that is capable of more or less matching Atlético Madrid’s defensive capabilities, but the Spanish side has more of a tradition of locking down superior offensive opponents. 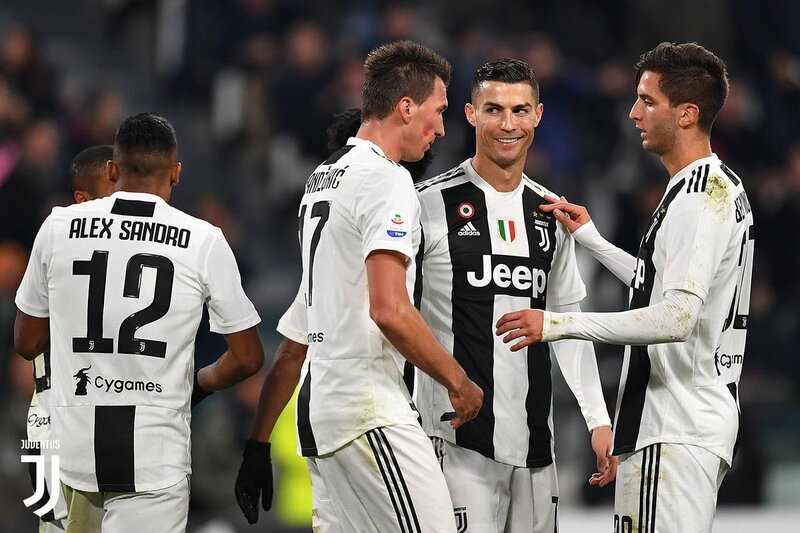 There is almost a potential intimidation factor, and Juve supporters would do well to avoid assuming that Cristiano Ronaldo will be immune to it. Ronaldo’s history against this side, while still a winning one, is not as dominant as it is against most clubs he’s seen often. He has a career 15-8-8 record against Atlético, though he has managed an impressive 22 goals and 8 assists in that span. On the plus side, as daunting as this is for a Round of 16 match, we should note that Juventus remains the likely victor. The UK-based bookmakers covering European football always carry the latest updates on odds for major events, so they’re worth watching as we get closer to the first match between these two on February 20. For now though, at least at a majority of major betting outlets, Juventus is still the favorite to advance, and has among the shortest odds to win the Champions League (though Manchester City tends to be in the top position). This is not going to be an easy task for the Italian side, and an upset - at least in the first leg in Madrid - won’t necessarily shock anybody. Juventus is appropriately wary, but what will be interesting to see is whether that translates to worry on the field or a respectful appreciation of the challenge and disciplined play as a result. That question could ultimately decide which club advances.